Karen Borgenheimer, MFA, is a classically-trained, certified interpreter and translator who is regarded as a skilled, insightful and versatile professional. She is equally comfortable in the courtroom and international conference where she has interpreted for major corporations, politicians, heads of state, diplomats, the Department of Defense and Homeland Security. Karen’s Interpreter Training Workshops have been a huge success in Florida, California, and Spain where she has trained hundreds of certified interpreters and interpreters-in-training. Karen obtained a Master of Fine Arts degree in Translation Studies from the University of Arkansas—Fayetteville. She also completed doctoral coursework in Spanish Language and Linguistics at the University of Wisconsin—Madison. For nearly a decade, Karen lived in San Lorenzo de El Escorial (MADRID), Spain where she taught at the Real Centro Universitario (RCU) “Maria Cristina.” During this time, she attended the prestigious Sampere Escuela de Traductores e Intérpretes in Madrid. Upon return to the US, she studied Court and Conference Interpreting at Florida International University (FIU). Karen has been a university professor for 30 years and a professor in the Translation and Interpretation Program at Florida International University (FIU) in Miami, Florida for the past 18 years. Prof. Borgenheimer’s understanding of the Spanish language, culture and history is unique. It is this uniqueness and experience that she brings into the classroom by blending concepts and techniques with real-life applications–and a good dose of humor. Daniel Tamayo, MA, is a Translation and Interpreting practitioner and trainer, and he is the owner of the California-based company GlobalTradu Language Services. Daniel began his interpreting career in the med-legal and insurance fields in 1993. Since 2007 he expanded his practice and now he also specializes in conference interpreting, nationally and internationally, in the following areas: Economic development, public policy, education, immigration, public health and environment studies. He regularly interprets at United Nations summits and conferences on climate, human rights and indigenous peoples’ issues. He also specializes in the translation and editing of technical texts. Daniel completed a master’s degree in Translation Studies at the Middlebury Institute of International Studies at Monterey (MIIS), where he also studied Conference and Court Interpreting. He also obtained a master’s degree in Hispanic Language and Civilization from the University of California Santa Barbara. Daniel currently teaches Translation and Interpreting at the University of California at Riverside, and taught those same subjects at Cal State University, Fullerton, from 2006 through 2018. He taught Spanish at California State Polytechnic University for about 10 years. 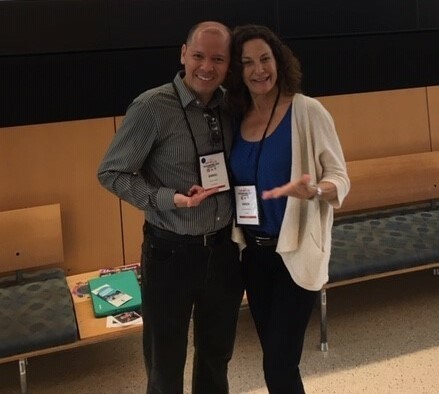 He is a member of the Professional Development Committee of the Spanish Division of the American Translators Association (ATA), and a board member and a trainer for the California Healthcare Interpreting Association (CHIA). Daniel regularly presents at various conferences and seminars for T&I organizations and universities in the US and abroad since 2009.